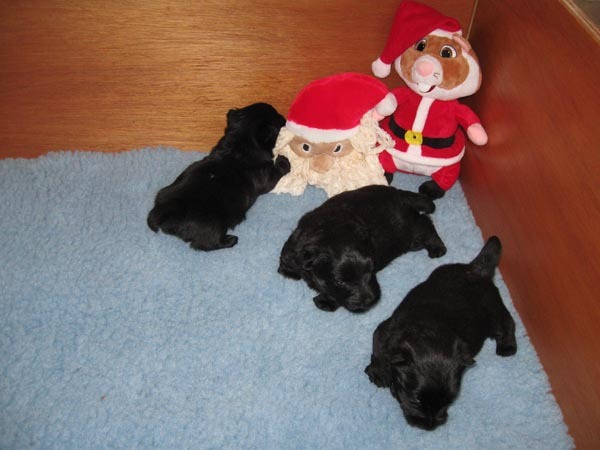 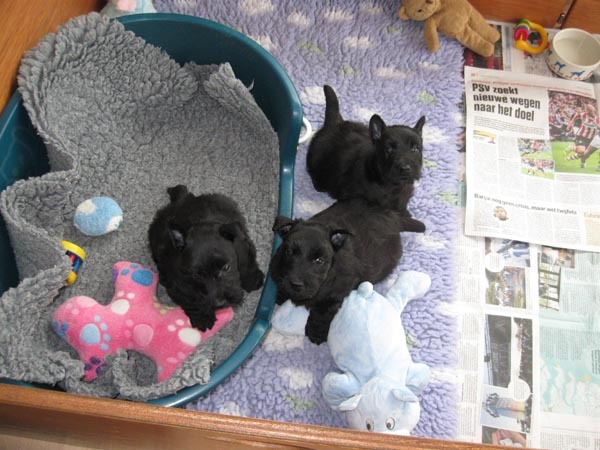 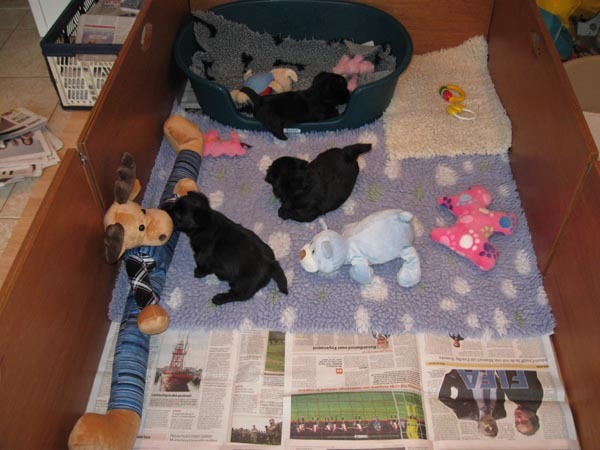 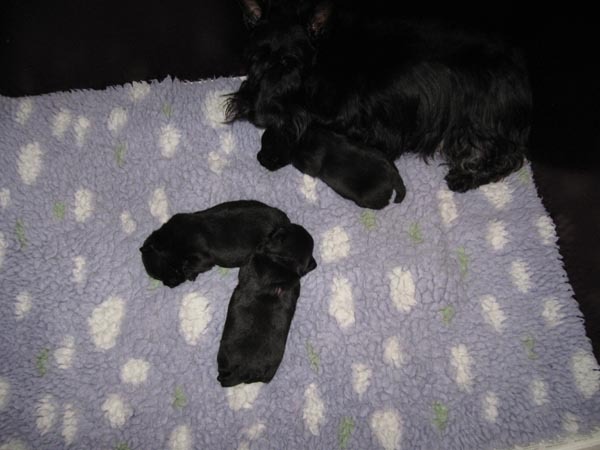 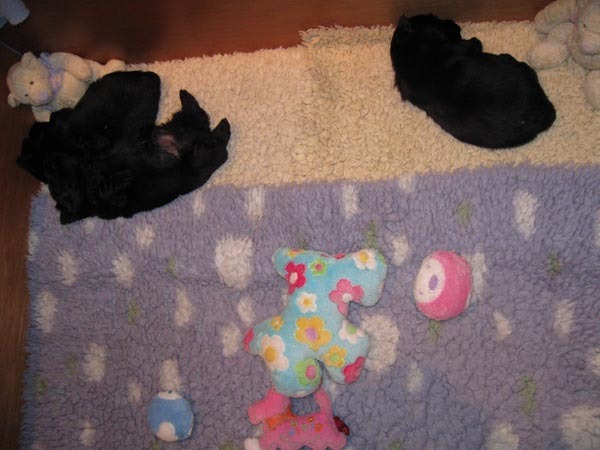 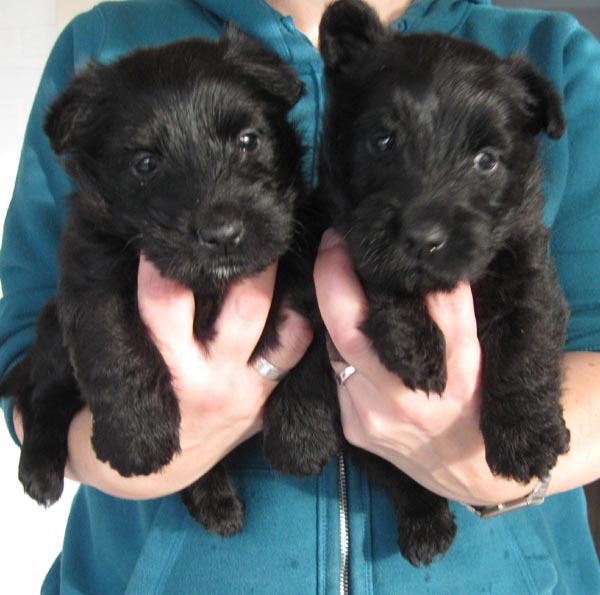 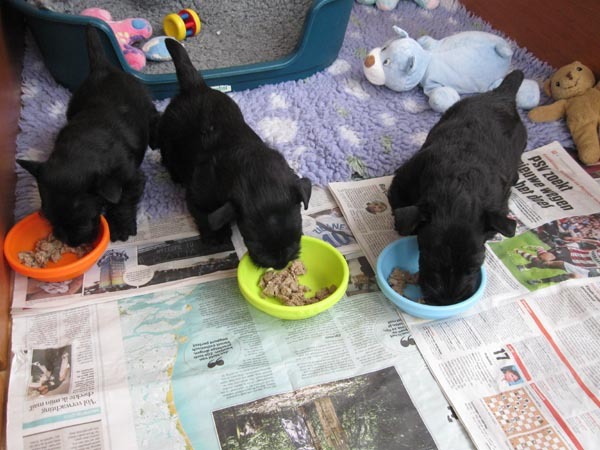 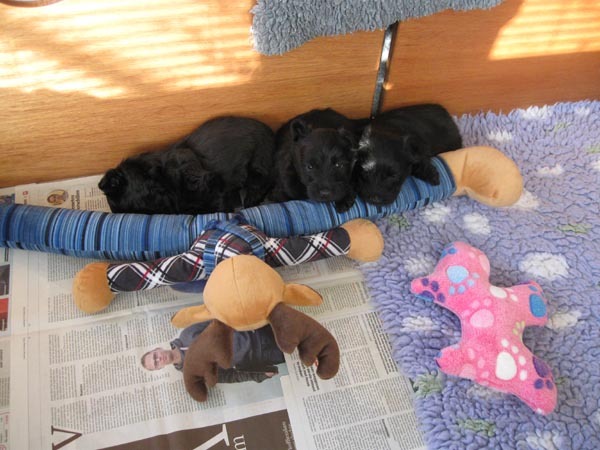 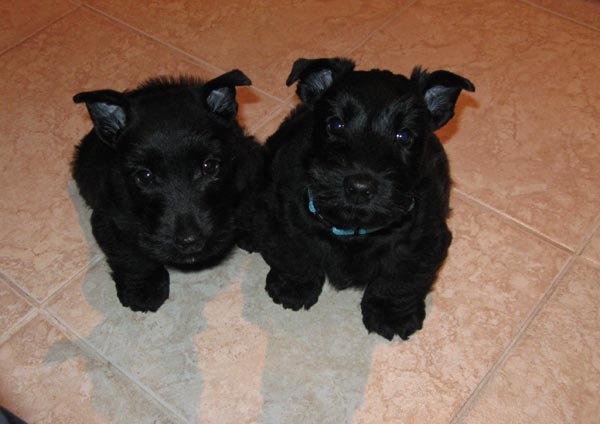 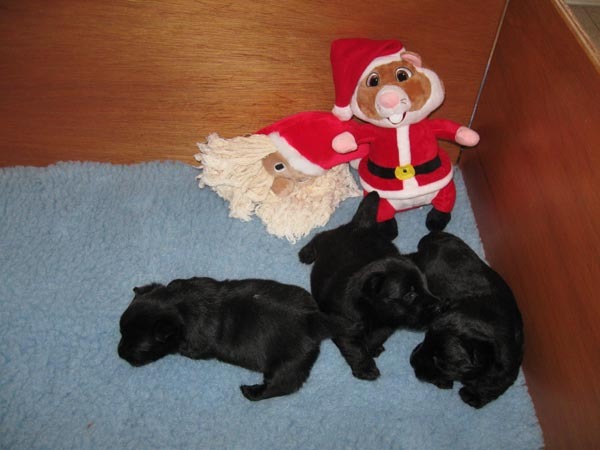 On November 24th 2015 Rantin Reiver’s Especially Evelyn (Lynne) selfwhelped her litter of 3, 1 boy and 2 girls. 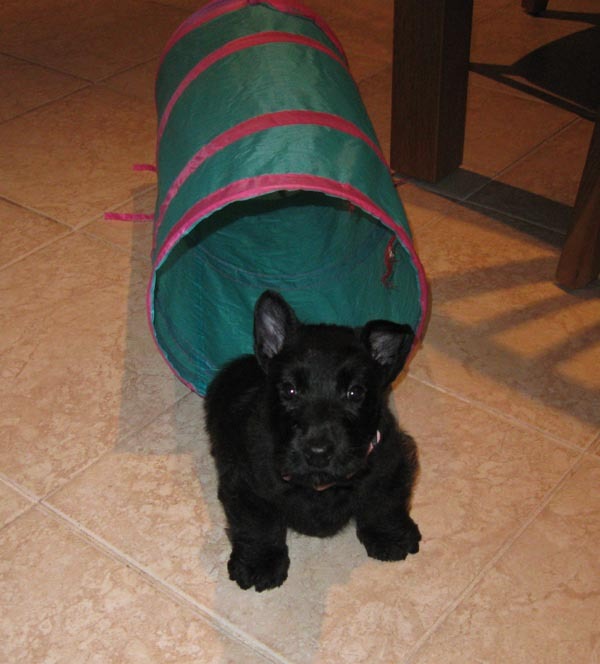 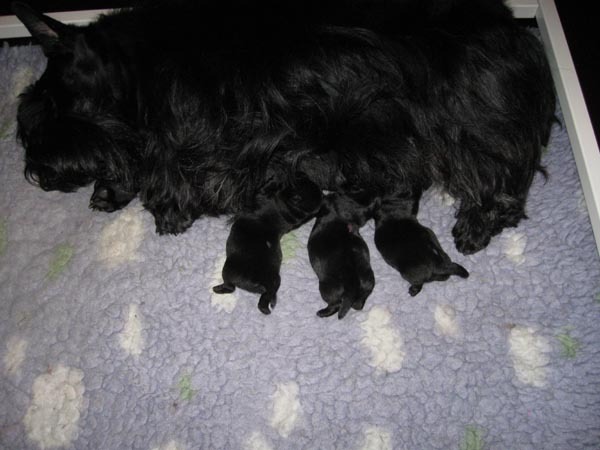 Proud dad is Black Beaujolais de Champernoune (Bruce). 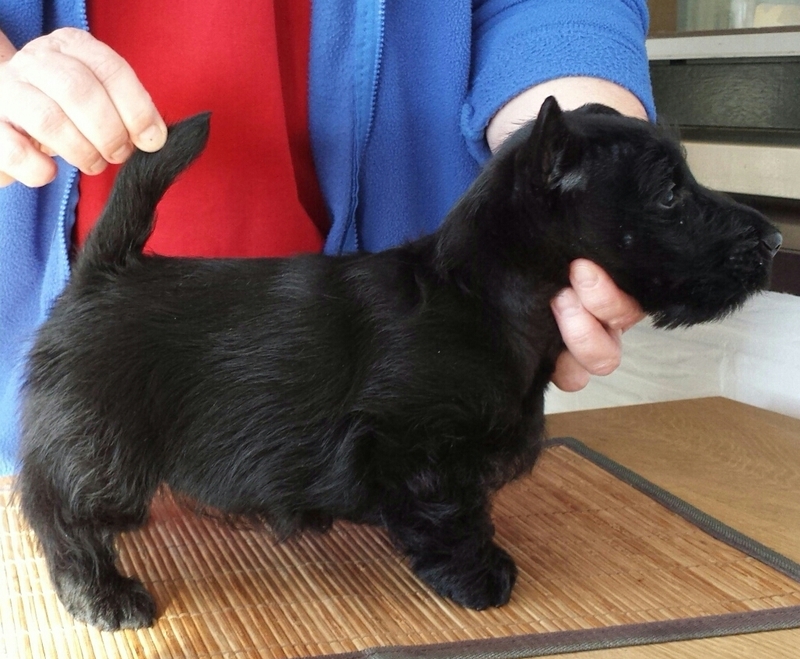 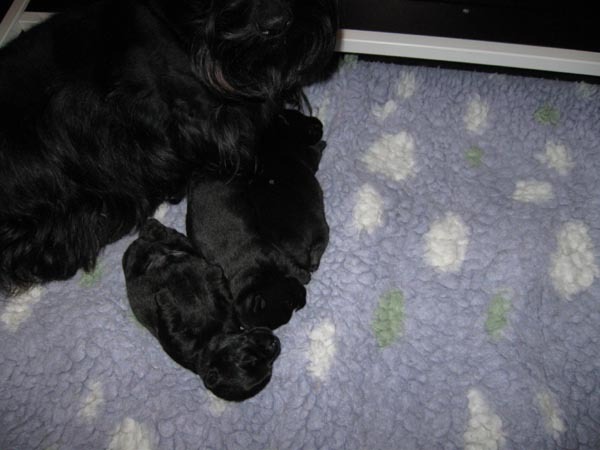 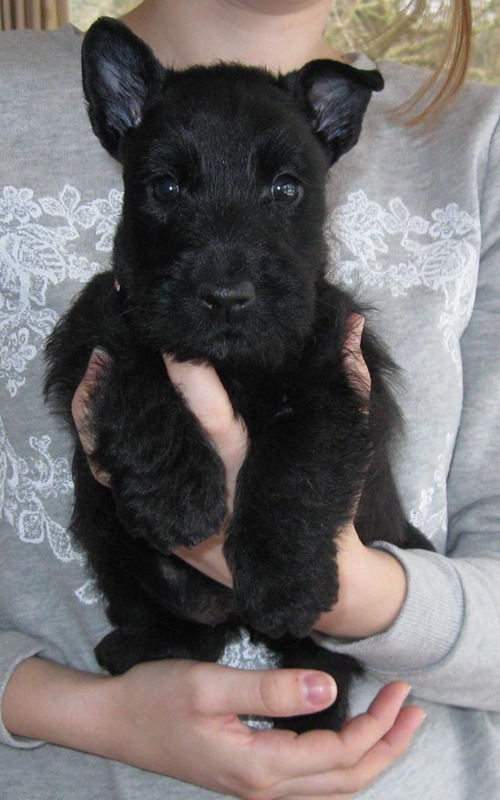 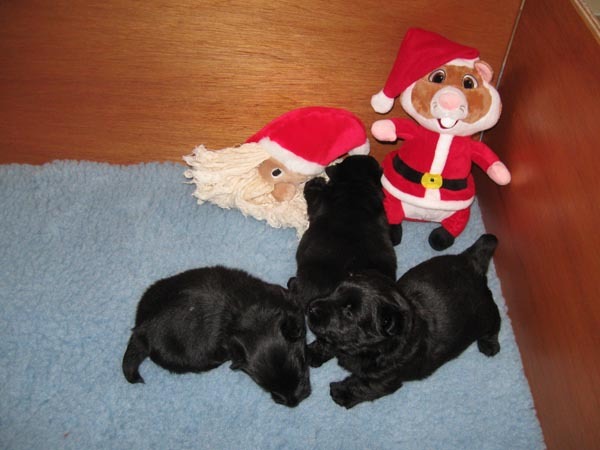 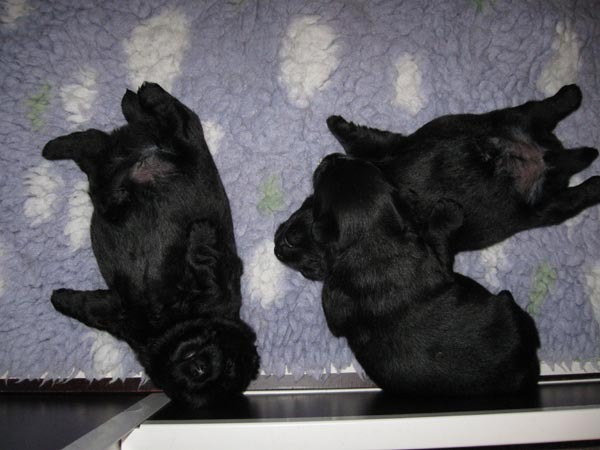 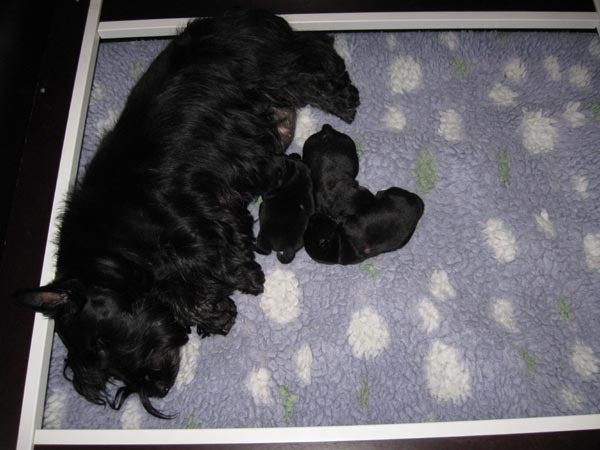 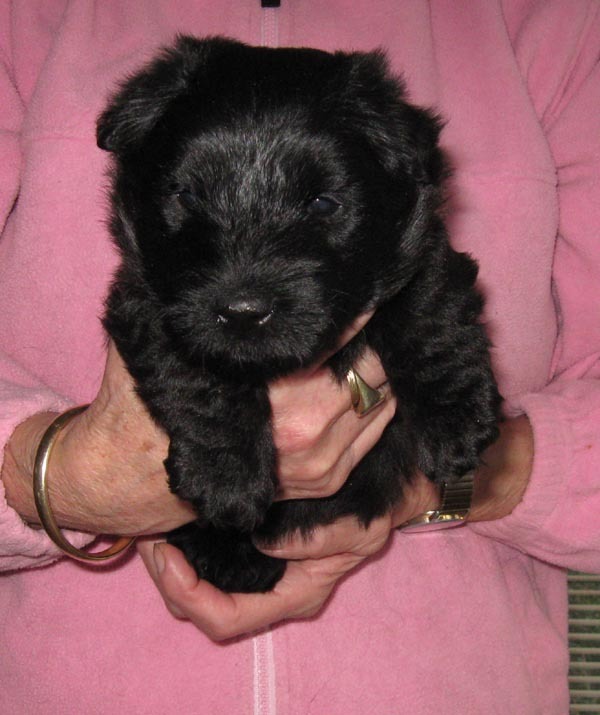 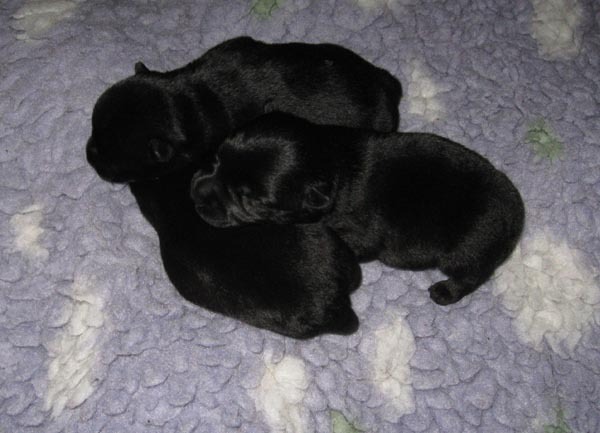 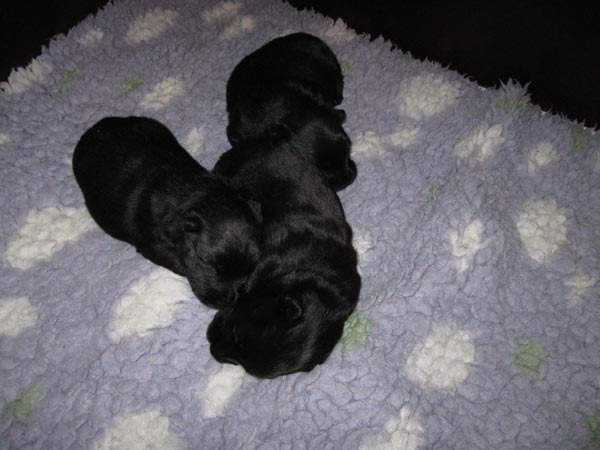 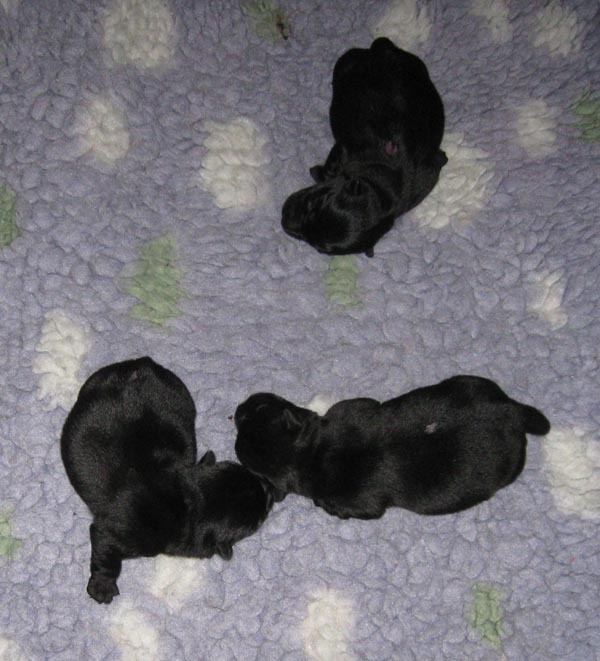 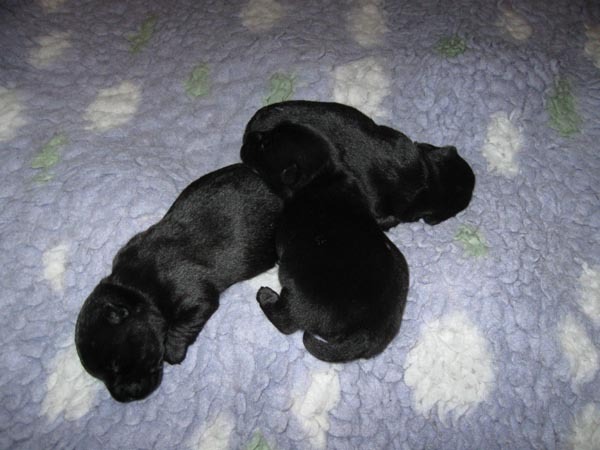 Op 24 november 2015 beviel Rantin Reiver’s Especially Evelyn (Lynne) van een nestje van 3 pups, 1 reu en 2 teven. 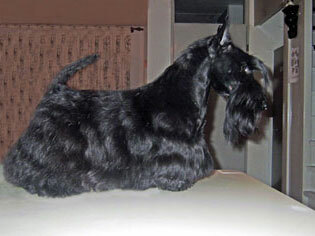 Trotse papa is Black Beaujolais de Champernoune (Bruce).